On Saturday, June 10th, Itala Mela (1904-57) was beatified in La Spezia, Italy, her home town. Cardinal Angelo Amato, the prefect of the Congregation for the Causes of Saints, offered Mass and declared Mela a Blessed of the Church in the presence of 3000 people. 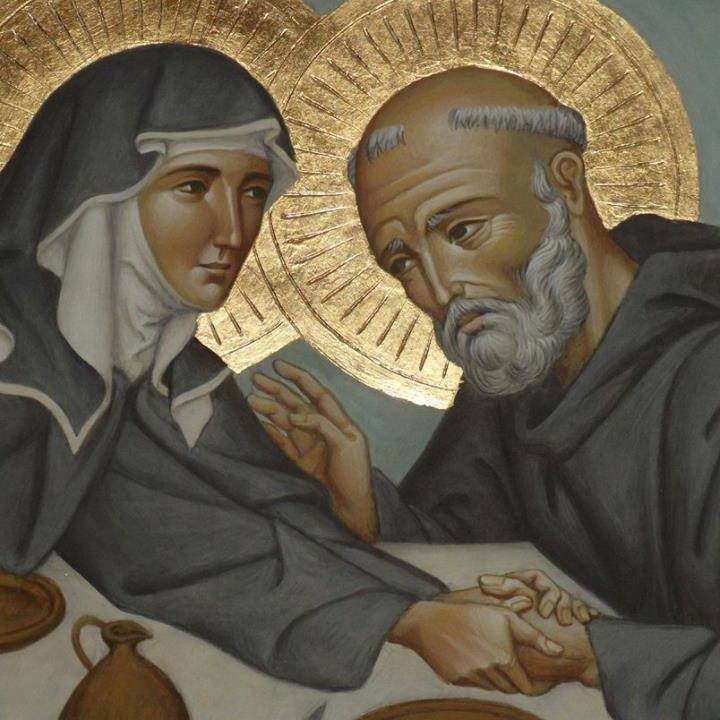 The liturgical memorial of Blessed Itala Mela will be April 28, the day prior to her anniversary of death so not to conflict the feast of St. Catherine of Siena, one of the patron saints of Italy. In previous posts on Mela, I noted she was an Italian laywoman who eventually found her vocation not as a Benedictine nun but as a Benedictine Oblate. Itala Mela was a well-known mystic of the Church, her popularity certainly grew following her death. She was the author of several theological writings that focused on the Blessed Trinity. 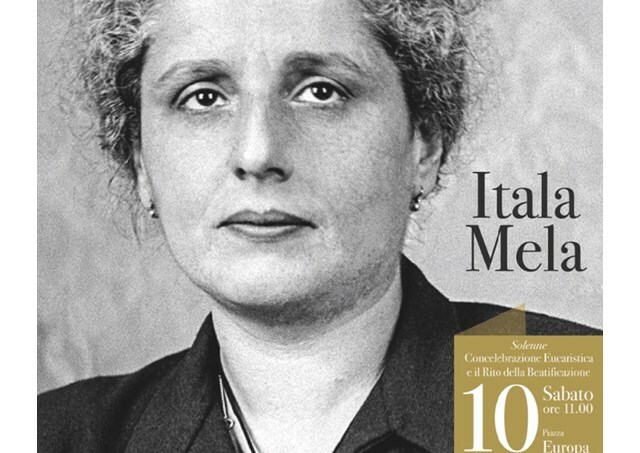 In his June 11th, Trinity Sunday Angelus Address, Pope Francis said that Blessed Itala Mela was not raised in the Catholic Faith, and in fact she identified herself as an atheist following her brother Enrico’s death at the age of nine in 1920. The tragic loss sent her in a tail-spin. She later converted to Christ, however, following an intense spiritual experience on the Feast of the Immaculate Conception (1922) at the age of 18. This sudden reawakening of her faith prompted her to say with conviction: “Lord, I shall follow You unto the darkness, unto death.” Her mission was to assist Catholic university students in developing their God-given, human desires through an emphasis on the spiritual life. Mela’s own spiritual path was not straight but she eventually recognized that consecrated life was not her vocation; then she became a Benedictine Oblate in 1933 of the Abbey of Saint Paul outside the Walls in Rome and undertook a mystical journey focused on the mystery of the Most Holy Trinity taking the name Maria of the Blessed Trinity. 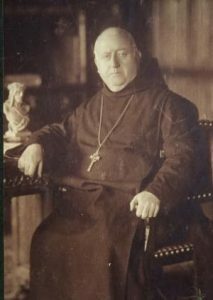 Among her guides were Blessed Alfredo Ildefonso Schuster, OSB (1880-1954), a Benedictine monk (of St Paul’s in Rome) who later became the Cardinal-Archbishop of Milan and Blessed Paul VI, also of Milan and later the Roman Pontiff. Typically, Oblates promise the three Benedictine vows of Conversatio, Obedience and Stability, yet she also made a fourth vow of consecration to the Holy Trinity which she considered as her mission in the Church and world. Blessed Itala, pray for us. On the Benedictine liturgical calendar the 13th century founder and abbot St Sylvester Guzzolini (1177-1267), is recalled. 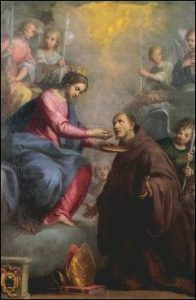 A few marks of this saintly abbot’s spirituality would be his emphasis on the mysteries of the Passion of Our Lord, a filial devotion to the Blessed Virgin, and the intense love of the Most Holy Eucharist. You can see the two of these marks expressed in parting by Claudio Ridolfi in 1632. Historically, some will remember that St Silvester founder of the so-called Blue Benedictines (from the color of their habit) or what became known as Silvestrines. The Benedictine way of life proposed by St Sylvester was confirmed by Pope Innocent IV in 1247. 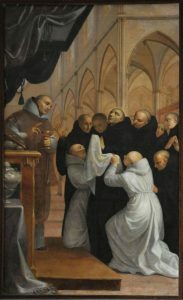 As a founder of a new expression of Benedictine monasticism Sylvester wanted his community to focus on contemplation thus being places of away from the cities, and he wanted relatively small communities of men who lived very modestly (even quiet poor) in contradistinction to the large monasteries of his time that had power and wealth and little regard for the Holy Rule. Today, this congregation of Benedictines is relatively small and not too well-known. St Sylvester teaches us through his example and living the three marks I noted above: attend to the Cross, be in relation to the Mother of God, and prepare your heart to receive the Lord in the Eucharist. Here is an example to help you understand the efficacy of the Rosary. You remember the story of David who vanquished Goliath. What steps did the young Israelite take to overthrow the giant? He struck him in the middle of the forehead with a pebble from his sling. If we regard the Philistine as representing evil and all its powers: heresy, impurity, pride, we can consider the little stones from the sling capable of overthrowing the enemy as symbolizing the Aves of the Rosary. The ways of God are entirely different from our ways. To us it seems necessary to employ powerful means in order to produce great effects. This is not God’s method; quite the contrary. He likes to choose the weakest instruments that He may confound the strong: “God chose what is weak in the world to shame the strong — Infirma mundi elegit ut confundat fortia” (1 Cor 1:27). Have you not often met poor old women who are most faithful to the pious recitation of the Rosary? You also must do all that you can to recite it with fervour. Get right down, at the feet of Jesus: it is a good thing to make oneself small in the presence of so great a God.